This is a quite perplexing album. Drenched in dubby rhythms, addictive, intoxicating bass lines, scratchy amateur-sounding guitars courtesy of Viv Albertine, discordant piano and pretty appalling hammy vocals from German-born Ari Up. This group of UK girl punks was the true face of female punk subversion. Even Siouxsie Sioux sounded mainstream compared to this lot. It has a really odd appeal to it, and always enjoy listening to it every now and again. It is a fun, catchy, and at times irresistible album. 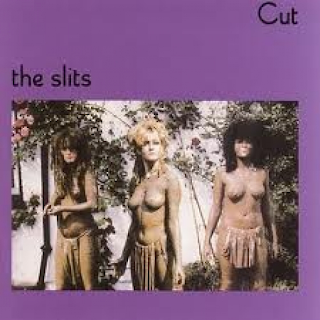 I saw them supporting The Clash in 1978, but actually can't remember much about it (The Slits, not The Clash, whose show was one of the best gigs of my life). The album begins with the bizarre sounds of "Instant Hit" with some quirky vocals and an addictive, half dub reggae, half slowed-down punky guitar sound to it. "So Tough" is similar, with some stereo vocals, different voices coming out of each speaker, with the girls ranting on about something or other. Again, it is strangely captivating. "Spend, Spend, Spend" has a killer bass line, some infectious percussion and dubby drums. "Shoplifting" has another throbbing bass and the girls telling us how they are going to "do a runner" from a shop. Their cod-Jamaican accent as they go on about "Babylon" at one point is a bit embarrassing, however. "Fm" apparently stands for "frequent mutilation". Ok, girls, if you say so. It is another is the same vein - beguiling rhythms, odd lyrics and weird vocals. That wonderful bass is there again on the haunting "Newtown" which also has some weird noises behind a dubby rhythm. "Ping Pong Affair" is an amusing tale of a couple splitting up and "Love Und Romance" is another unique Slits love song. 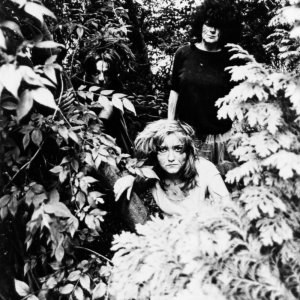 "Typical Girls" is the most well-known and the best track on the album, with a thumping rhythm and some fetching vocals, despite their discordancy. "Adventures Close To Home" is somewhat disconnected at times but with some excellent percussion and dubby drums. The girls' cover of "Heard It Through The Grapevine" has to be heard, really. It is the very antitheses of the original. I love it. This album is half an hour of disposable fun.